I am pleased to present the members of the Editorial Advisory Board. These individuals will help guide the continued development of World Neurology Online. Each of these distinguished neurologists has agreed to provide and solicit announcements and articles of interest from their regions and beyond. 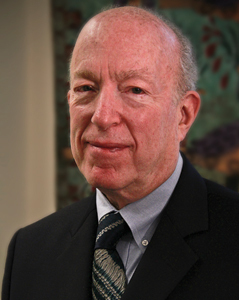 I also am pleased to announce that Keith Newton, the World Federation of Neurology’s executive director, has agreed to serve as assistant editor of World Neurology Online. 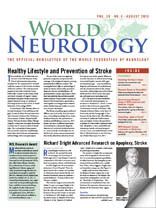 Please send your announcements, reports and articles to me silberbe@mail.med.upenn.edu and/or to Keith Newton keith@wfneurology.org. As you prepare for what promises to be an exciting and informative World Congress in Vienna, keep in mind that two democratic processes will take place during the meeting. The first is the selection of new officers for the WFN; the second is the choice of country for the 2017 World Congress. The WFN Council of Delegates votes both selections. If you wish to share your thoughts with your national delegate, and might not be sure who that is, you can obtain his or her name and email address from Keith Newton. I look forward to seeing and meeting many of you in Vienna.